New Eighth Edition Now Available! Learning about Dance: Dance as an Art Form and Entertainment introduces students to the exciting, daring, ever-changing, and dynamic world of dance. Learning about Dance invites readers to experience the artistry and excitement of the dance world. 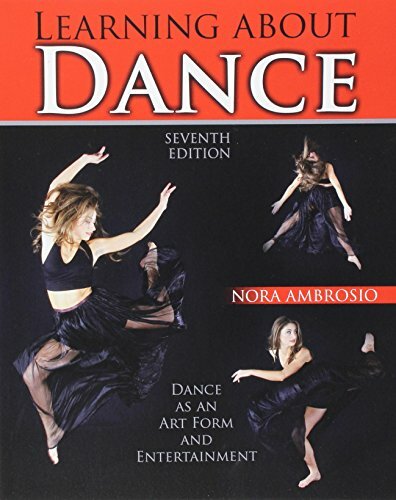 The publication presents all aspects of dance as an art form, including chapters on: the choreographer; the dancer; the audience; different dance genres, including ballet, modern and contemporary dance and dance/theatre, jazz, musical theatre dance, tap, world dance, social dance, improvisation, creative movement; dance in education, and careers in dance. Features an expanded section on dance and technology and information on dance DVD and digital video distributors. 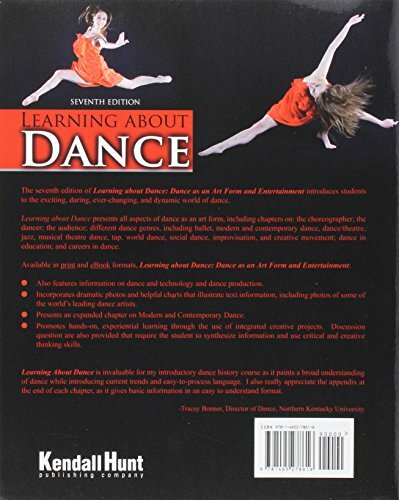 Purchase Learning About Dance: Dance as an Art Form and Entertainment at Discounted Prices ✓ FREE DELIVERY possible on eligible purchases.